Every week, the Bureau of Development Services publishes lists of Early Assistance applications, Land Use Reviews and Building Permits processed in the previous week. We publish the highlights. This post covers July 16th to July 22nd, 2018. Proposal is to build a 5 unit multi-family building. Northwest Housing Alternatives’ project at 9747 NE Glisan, designed by MWA Architects, as presented to the Design Commission in February 2018 at its second design advice hearing. Every week, the Bureau of Development Services publishes lists of Early Assistance applications, Land Use Reviews and Building Permits processed in the previous week. We publish the highlights. This post covers May 21st to May 27th, 2018. NOTE: This post originally included building permit intakes and issuances from the subsequent week. It has been updated to include the correct projects. Proposal is for a master plan development of approx. 8 acres. Master Plan – the developer intends to pursue a voluntary CC Master Plan (33.510.255) to establish the development framework for a mixed-use waterfront redevelopment. Demolition of existing commercial structure, site improvements, and construction of a new 4-story, 132,818 SF self-storage building with accessory office space, parking lot, utilities and landscaping. Construct a new 19-unit, 3-story apartment building (approximately 9,000 sq ft on the southern 1/3 property (in RH zone). 2-story, 8 unit, apartment building. Construct a new 17-unit, 3-story apartment building (approximately 7,800 sq ft). (80 parking spaces). Two loading spaces are proposed in the structured parking area. The units are a mix of 2 bed, 1 bed, 1 bed loft, and studio units and meet the inclusionary zoning requirements. Proposal is for 159 unit affordable housing. One modification for the transit street setback. New Lexus dealership to include vehicle showroom, service area, parking, and commercial space. Proposal for a two-parcel partition to be developed with a 12-unit apartment building on each parcel. New 3-story modular triplex and associated site work for 7 total triplexes on lot to include parking, landscaping, covered trash enclosure (under 120sq ft), walkways & utilities. New 4 story apartment building with 17 units, parking lot, utilities, landscaping, and site improvements. Building A. New 4 story apartment building with 19 units. Building B. New single story retail building, parking lot, detached trash enclosure less than 120 sq ft floor area, stormwater facility, site improvements and utilities. 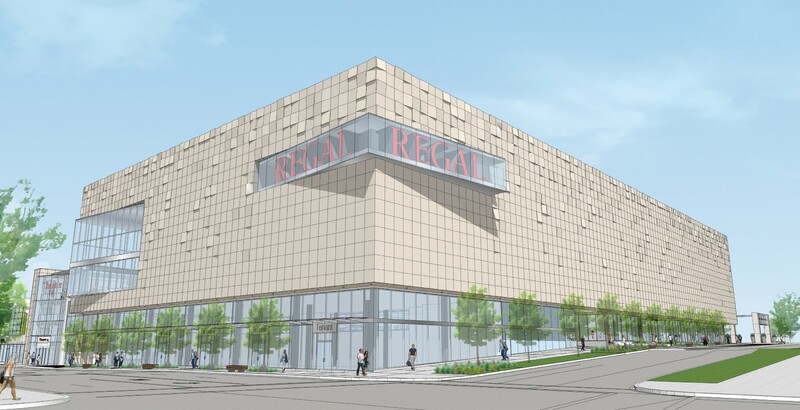 The new Regal Cinema proposed at the east end of the Lloyd Center has been submitted for building permit review. Every week, the Bureau of Development Services publishes lists of Early Assistance applications, Land Use Reviews and Building Permits processed in the previous week. We publish the highlights. This post covers March 12th to March 18th, 2018. Current code: Proposal is for a new four story commercial building with ground floor retail and parking and three floor residential or commercial work/live units. On site stormwater management will be planters and drywells. Applicants will explore a minor height adjustment of approx. 6ft over the allowed 45 ft.
property lines with a required buffer on the east property line. Renovate former Sears building. The lower levels will be for retail and office use while the upper level is being expanded by 76,000 sf for a 14 screen movie theater. A new mall entry will be added to the Eastern side of the mall to provide a connection to the exterior and a new theater lobby entry will be located at the corner of the existing parking structure to provide vertical circulation to the mall and theater. Every week, the Bureau of Development Services publishes lists of Early Assistance applications, Land Use Reviews and Building Permits processed in the previous week. We publish the highlights. This post covers October 2nd to October 8th, 2017. 2018 updated comp plan info for: Construction of a new 3-story mixed-use building, with ground floor retail and restaurant, approximately 18 apartment units, and 7 parking spaces. Future code – Propose to remove existing single story building and developing a new 8,500 sf single story retail building fronting SE Cesar Chavez. Improvements to parking. New 3-story, 6 unit apartment building with 32 sf trash enclosure and F2 screen fence around mechanical equipment. ***DFS fire sprinklers. 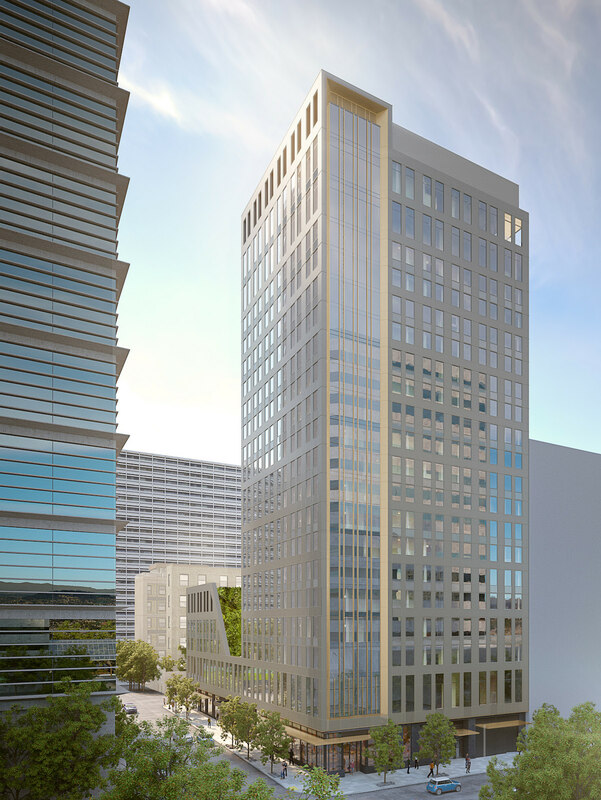 New 20 story hotel, 180,000 gross sq ftl with 250 guest rooms, ground floor retail, conference center, gym, groundfloor restaurant, bar/market, support spaces and rooftop restaurant and bar. Total project consists of 20 stories of Type 1 construction with one basement. The project is a new 23,569 sf 5 story mixed use bldg. Primary bldg. Occupancy is mercantile (M) with storage S) and business (B). Bldg. Will be fully sprinkled and III-A type of construction. Core and shell construction.